The cleanliness of your establishment speaks volumes to whomever enters it; make sure it’s sending the right message! We are Brite Facility Solutions, and we have been serving the Chester County area for over 15 years. From industrial buildings to large commercial facilities, our family-owned janitorial company can be trusted to provide the highest quality cleaning services in our area. From small offices to large commercial facilities, we tailor cleaning services to meet your needs. Whether it’s your daily janitorial service, periodic carpet cleaning, floor maintenance, estate clean up, or special cleaning projects, such as wall washing or venetian blind cleaning, we can handle them all. Brite Facility Solutions specializes in floor maintenance, carpet cleaning, and general janitorial cleaning. 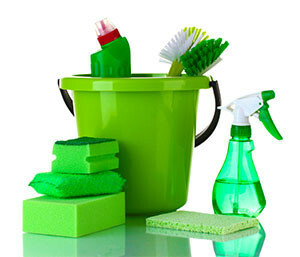 We take pride in our labor and work with eco-friendly and green products upon request. For a free estimate and 30% off of your first service, get in touch with us today and give your home or business a “Brite” new look!